Over the last month or so I have anticipated being busy with brewing and beer related events between now and November. It seems my weekends are booked until then. I wanted to post a list of some of the beer festivals taking place in the region, along with my thoughts on them and if I plan on attending or not. I’m sure there will be a few that I have missed. I’m just posting the ones I know about. The first one I want to mention is one that I’ve already booked my hotel for. I am really looking forward to the first ever Kingsport, TN Oktoberfest. This takes place on Saturday September 24th in Downtown Kingsport. You should definitely consider going to this one. What sets this one apart from some of the others is what is being billed as “Beer University”. This educational aspect will provide the opportunity to learn about all aspects of brewing. Consider it a ‘Growing to Glass’ education that will bring a full appreciation of craft beer. Some of the topics and speakers lined up for this are simply incredible. Check out the website for more details. There is so much going on at this event. It’s family friendly, with an area for the kids. I’m looking forward to the Black Forest Brew Off. This invitation only homebrew competition takes place in the hours before the bier garden opens. 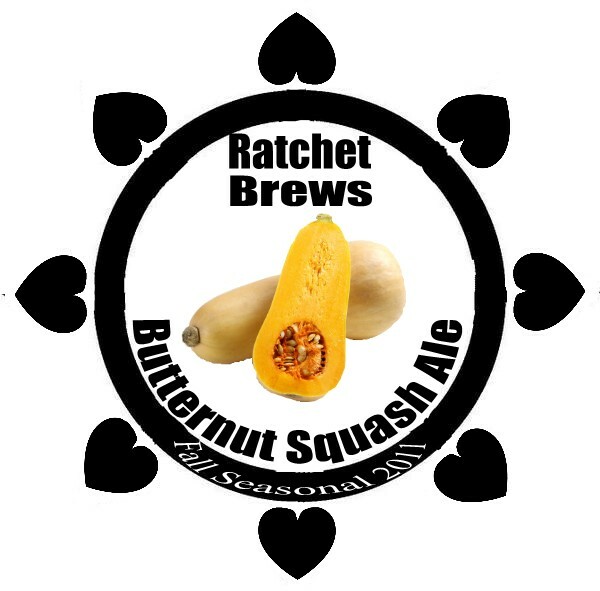 I will have a keg of my Butternut Squash Ale and a keg of my ESB. The judging is done by professional brewers and VIPs. There are several prizes and the overall winning brewer will have their recipe upscaled and brewed by Wolf Hills Brewing Company of Abingdon, VA. Wish me luck! If anyone wants to go or is already planning on going to this, let me know. September 17th is Asheville’s Brewgrass Festival. Everyone tells me how awesome this is. Unfortunately I have yet to make it. I can’t go to everything, but hopefully I can check this out next year since this year’s event sold out weeks ago. I will be brewing beer at home this weekend. If anyone is going, please report back on how it was. October 8th is the Asheville, NC Oktoberfest. This is another event I am really looking forward to. I got me a hotel booked 1 block away from the festivities. I went last year and had the time of my life. It’s all Asheville beer, it takes place on Wall Street in the middle of downtown. Seriously, I can’t remember when I had more fun. Asheville is a special place. So far I am going solo, so if you want to go or already plan on going, contact me. October 22nd is the big show. For me it’s the creme de le creme of beer festivals. Of course, I am talking about Knoxville’s BREWERS JAM!!! Seriously, THIS is the event that people around here talk about all year round. Lot’s of beer, great bands and food. The Tennessee Valley Homebrewers set up a tent and dole out unique and delicious brews that you can only try there. I am providing 20 gallons of my Butternut Squash Ale. Last year I brought out 5 gallons and it was gone in 15 minutes. People really enjoyed it. Brewer’s Jam tickets are on sale and like every year it will sell out early. If you are going, buy your tickets now. There are a lot more beer festivals within a few hours drive, but I only listed the ones I am interested in. The weekends that I am not going to them, I am brewing beer. One more thing before I end this post. Woodruff Brewing Company is having yet another Cask Night. This one is taking place at Hard Knox Pizza on Tuesday September 13th starting at 6pm. What are they tapping? Check out this post by Knox Beer Snobs for more details. This entry was posted on Friday, September 2nd, 2011 at 19:57 and is filed under Beer, home brewing, Oktoberfest. You can follow any responses to this entry through the RSS 2.0 feed. You can leave a response, or trackback from your own site. Hey man, the KnoxBeerSnobs will be making an appearance at Brewgrass – we’ll definitely report back. Also Don will be at the Kingsport Oktoberfest, so keep an eye out for him!